DefenseMobile – The military community is close-knit, situationally aware, and very connected. Upon separation or still serving, there is critical information that seems to be on a need-to-know basis about benefits and opportunities. 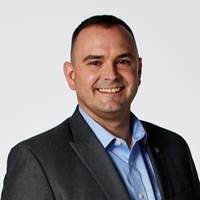 Chris Norton is the SVP of DefenseMobile and tasked with the business outreach of this all-military mobile network that brings not only the military community together, but goes further to integrate with corporations, VSO’s, and grassroots organizations to best serve, understand, and give back to the military families in their midst. Huge dilemma solved: What are your benefits, how do you find out, and how can you translate them? Ward Bond is the key developer behind the benefits coordination engine of the smartphone app called MiliSOURCE. 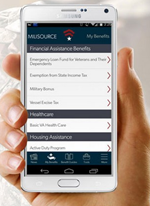 This app is integrated into DefenseMobile’s network, helping a user create a customizable benefits profile, culling through nearly 1,000 benefits databases and the best practices of VSO’s such as DAV and the Legion (with more to come). Your phone won’t resolve all your family’s issues — but it can help! Download the podcast here http://bit.ly/DefMobshow or Listen Live below. Air date 28July2015.